The November Board of Directors meeting takes place on Wednesday 1st. It will be at the House of Pizza, 2270 Nicolaus Rd., Lincoln… dinner at 18:00, meeting at 18:30. All members are invited. The Tracy Airport (KTCY) monthly Display Day has been moved to Sunday October 22, 2017 from (09:00 to 15:00). Astoria Senior Center will be serving the coffee and donuts in the morning and lunch in the afternoon – 100LL Avfuel @ $4.09 per gallon!! Participants will have the opportunity to fly in the cockpit of a WWII-era biplane. The airport is also hosting a Display Day with vintage planes on display. The public is invited. Please join us for a fun and uplifting day! Call 209–833–2200 if you have any questions. On October 28th, from 08:00, we’ll be having our 4th Saturday breakfast and a program. 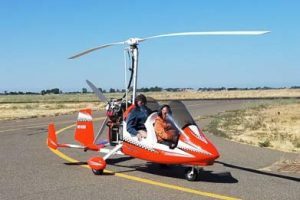 Don Bradley of Foothill Sport Aviation will talk to us about his Magni gyroplane. Come out for the monthly member meeting at hangar S12 on Wednesday the 18th. We’ll have dinner at 18:00 and then a brief chapter business meeting. 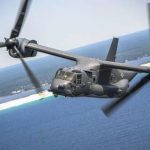 After the business is over, we’ll have a presentation by resident historian Marty Maisel who will present an overview of 42 years of Aeronautical engineering from propeller design to the development of the Osprey prototype and more. Richard Bristow is having a meeting for hangar renters to discuss the city taking over from Nunno. It’ll be in his hangar (it’s the one at the end of the row in front of the taxiway, facing North) on Tuesday at 18:00. We regret that due to all the fires in the area (most of all the Lobo fire, which is currently over 850 acres and is only 30% contained), and the impact this is having on visibility, we’re cancelling the 2017 EAA1541 poker run. The forecast winds through the weekend aren’t strong enough to blow out any smoke, even if the fires were extinguished today, so we’ve decided to err on the side of caution. Pre-pays via Paypal will be refunded today, and we’ll try again early next year. The Annual Meeting and CalPilots AIRFEST will officially begin at San Carlos Airport (KSQL) Friday October 13th and features a full day program Saturday, October 14th with a BBQ Sunday morning. They have a marvelous program involving some dynamite speakers, lots of good stories among pilots, learning opportunities, a famous accident investigation, airport protection tips and stories – it’ll all be at beautiful San Carlos Airport. sign in; get your name tag; say hello!! meeting with Mark Baker, CEO, AOPA. your name tag; say hello!! Commander Robert A Johnson, USN, Ret. 4:00 PM             5:30 PM    Free Time. VIP Notice – Sacramento, CA, 10/9-10. VIP Notice – Sacramento, CA. Notice: Expect VIP movement October 9-10, 2017 in the vicinity of Sacramento, CA. Pilots can expect airspace restrictions in conjunction with this VIP movement. The FAA recommends that all aircraft operators check NOTAMs OFTEN for mandatory airspace restrictions prior to operations within this region.